Although it’s not big or clever to set out to get steaming drunk, it’s a fact of life that we all end up having one too many at some point over Christmas. You can simply choose the classic hangover cure of a couple of pain killers, lots of tea and a few hours on the sofa, but this may not be practical over Christmas as you’ll either have guests, work or another party to go to! Here are a few ideas for hangover cures that really work – see which one suits you best over the excesses of the festive season. 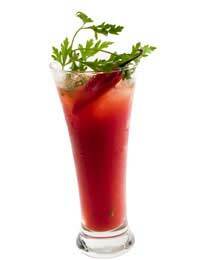 No hangover cure discussion is complete without a recipe for the perfect Bloody Mary. After all, it’s Christmas!! It may not often be a good idea to follow booze with more booze, but when you need to quickly perk up and meet people in a bar or at a restaurant, a Bloody Mary is ideal. Pour all the liquids into a glass or cocktail shaker and add Worcester sauce and Tabasco to taste. Season and stir with the celery stick – leave it in to serve. The more enjoyable, corner-shop friendly way to get back all those salts and sugars you’ve lost in the midst of over indulging. Yes, you can just take one of those sachets of rehydration salts from the pharmacy, but it’s far easier and a lot more fun to eat a large packet of salt and vinegar crisps and drink a pint glass of orange juice with a teaspoon of honey stirred through. If you eat a massive fried breakfast when you have a hangover you may feel better momentarily but it is likely that you will feel very bloated and uncomfortable half an hour after eating. This is fine if you’re just watching Bond films on the sofa for the rest of the day, but if you’re expected to actually do something, try this lighter version that will give you all the energy you need without that sluggish feeling. Using a medium sized frying pan, fry the bacon in a little oil until nearly cooked. Push to one side and add in the tomatoes and mushrooms, keeping them in their own ‘area’ of the pan if possible. Then gently break the eggs into the gaps between the cooked ingredients and season them. Allow the eggs to cook without moving anything in the pan, so you’ve got fried eggs with the other ingredients filling the pan. Serve with plenty of crusty bread or toast, with a portion of baked beans if you’re particularly ravenous! This is especially effective as a hangover cure when combined with a large cup of sweet, strong tea and a glass of orange juice.